"Early Morning Cascade On Gee Creek" The only trail through the Gee Creek Wilderness ascends along (and across) the tumbling cataracts of Gee Creek. A quick update from my "Smallest Wilderness" project. For those unfamiliar with this project, I'm trying to visit and photograph all 65 federally designated wilderness area that are under 5000 acres and are not connected to a larger wilderness complex (i.e. just separated by a road). The goal is to produce a book. Why five thousand acres? Because this was a number tossed around by the original framers of the Wilderness Act and included in the language of the act itself. According to the "Definition of Wilderness" criteria in the 1964 Wilderness Act "(3) has at least five thousand acres of land or is of sufficient size as to make practicable its preservation and use in an unimpaired condition." In fact, the Eastern Wilderness Areas Act of 1975 was enacted because strict adherence to the definition in the original Wilderness Act was leading to little land being designated wilderness in the eastern part of the country. Today I'm featuring the 2,559 acre Gee Creek Wilderness which I visited in April. 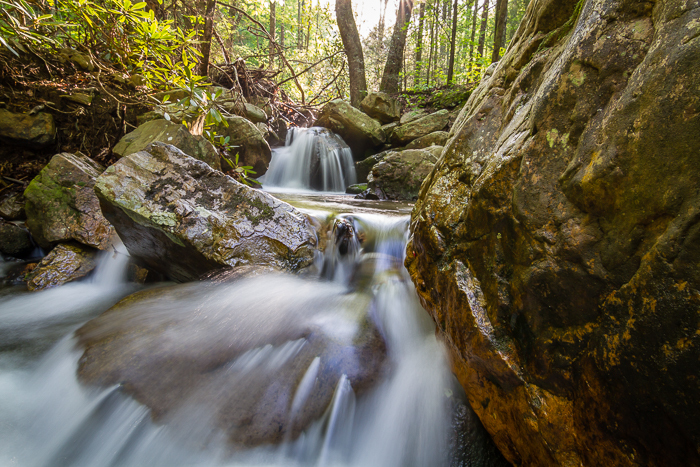 One of three small wilderness areas southwest of Great Smoky Mountains National Park in the Cherokee National Forest, Gee Creek packs a lot of punch for a small wilderness area. The less than 2 mile trail into the heart of this wilderness passes through some truly stunning scenery and also has a fabulous concentration of early spring ephemeral wildflowers. Have you visited a federally designated Wilderness Area? If so, which one(s)? What did you think of it? Leave a message in the comments describing your wilderness experience (big or small). 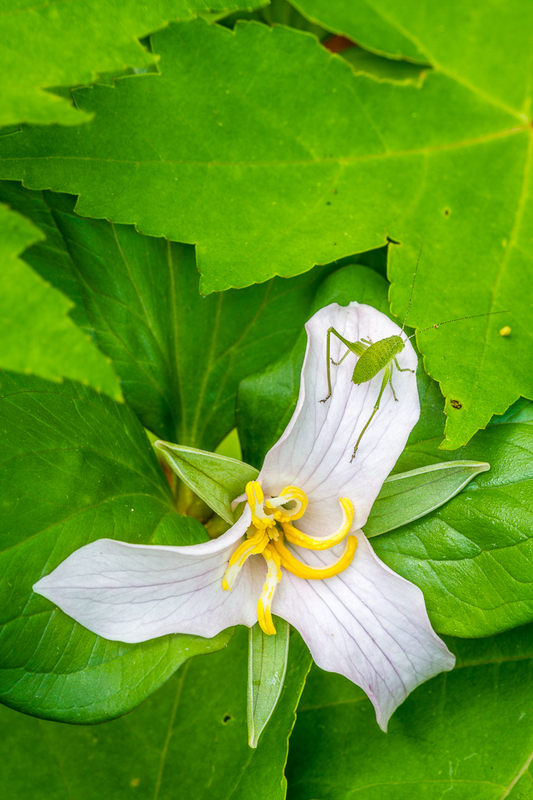 "Spring Green" Trillium, spring maple leaves, and a katydid nymph along Gee Creek.